Weber's style as Pantha du Prince evolved from the harder end of the house music spectrum and minimal techno to something the artist himself describes as 'Sonic House', incorporating acoustic elements, electronically altered field recordings, and shoegazing references. 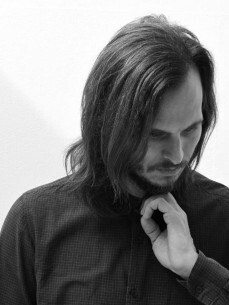 He launched his Pantha du Prince identity in 2002, with the four-track 12" "Nowhere". His first full-length CD/double LP, Diamond Daze (2004), featured hard-edged club songs, with Weber sampling The Chills’ "Pink Frost" on the track "Circle Glider". Writing for allmusic, Jason Birchmeier also detected an affinity for shoegaze bands such as My Bloody Valentine and Slowdive as well as for the stylings of Detroit Techno producer Carl Craig. Weber’s 2005 remix 12" "Butterfly Girl Versions" and the 2006 "Lichten/Walden" 12" were again published on the German Dial label. In 2007, Weber released This Bliss in which he explored travel, time, and the joy of forward motion. Commenting on the album’s juxtaposition of ethereal melodic elements and a dance music backbone, Tim Finney gave it 7.7 out of 10 in a review for Pitchfork. The New York Times critic Jon Caramanica described This Bliss as Pantha du Prince's "high-water mark", "a pensive, slender and tough album". In 2010, Weber switched labels to Rough Trade Records before releasing his third album Black Noise. Here, Weber sought to "incorporate a wide range of sounds - field recordings, atonal noise, and stray percussion" - as part of a "period of musical exploration in the Swiss Alps."